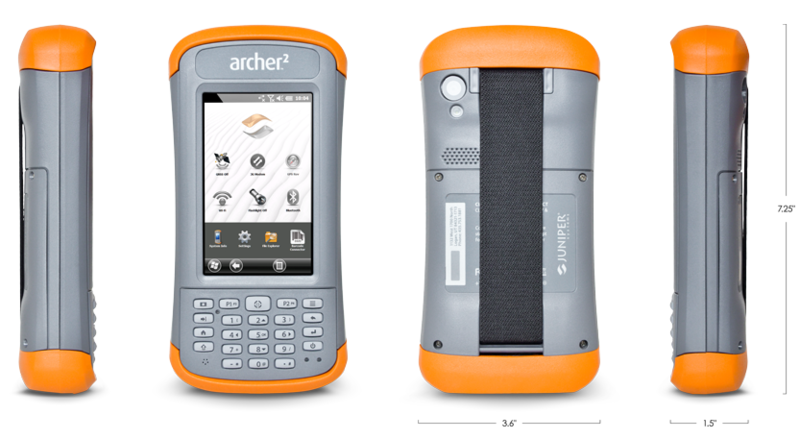 Rounding up the right people for an insider look at the careful considerations that shaped the design of the Archer 2 was as simple as a five minute walk around Juniper Systems’ headquarters—this close proximity is likely a big part of what makes Juniper’s handhelds the best in the industry. Let me explain. From product managers interviewing and working alongside customers in the field, to mechanical engineers vigorously debating product dimension changes smaller than a human hair, Juniper’s core design team is all right here, face to face, under one roof (check out a fun Juniper video on the topic). This in-house culture is the perfect stomping grounds for both over-the-top attention to detail and everyday collaboration to plot the perfect beat-down on inferior handheld devices. What this means for you is that teams of Juniper Systems engineers are fretting over the details of every single component that goes into an Archer 2’s design, to ensure that everything is up to the demands of the most rugged data collection jobs in the world—yours. No compromises. At the top of our customers’ wish list was a display/touchscreen combo that would be more scratch resistant and brighter than anything else on the rugged market. Done and done. Our engineers spent loads of energy researching, testing, and developing customized manufacturing processes to make this happen. The result has to be witnessed first-hand to believe. Try to purposely scratch it with your car keys and you’ll be left disappointed in your arm strength. Test the brightness outside in the sun and you’ll be amazed. 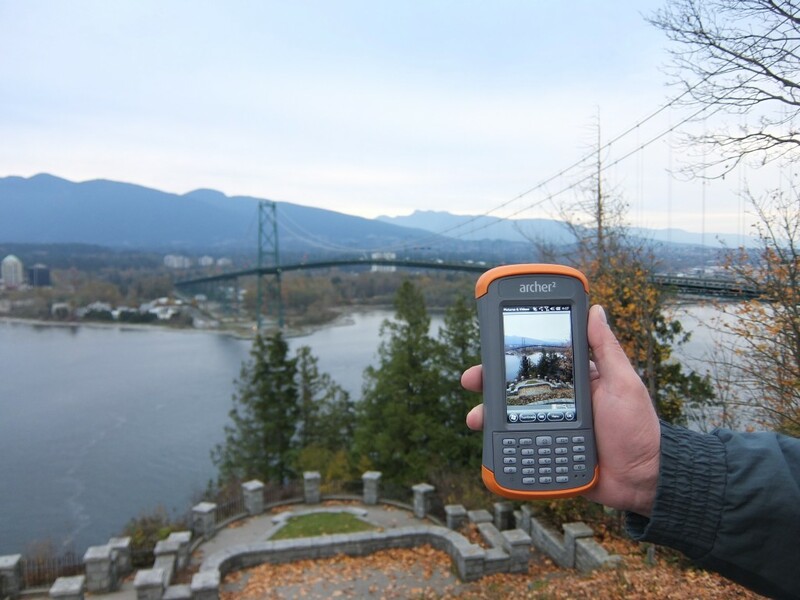 No other device currently on the rugged handheld market is brighter. 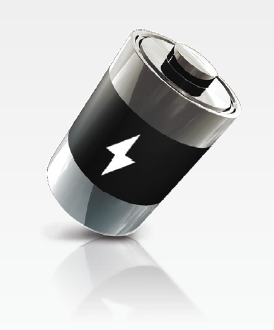 Even with Juniper’s recent products equipped with high-performance batteries, market research for the Archer 2 indicated that having the “ultimate battery” was still near the top of the wish list. Our engineers delivered. A custom best-in-class battery was selected with enough juice to power the handheld for 20+ hours—and we aren’t talking about an Archer 2 lounging around or performing menial tasks. We are talking about 20+ hours under heavy workload with the screen brightness cranked. The battery was also selected to last the entire lifetime of the handheld under typical customer conditions with unmatched cold weather performance. Selecting an “okay,” off-the-shelf battery might have been acceptable, requiring less engineering resource, but we wanted to provide above and beyond what our customers were used to—a best-in-the-industry battery. Juniper customers rarely experience data loss, but in the event of catastrophic handheld damage the Archer 2’s internal memory storage chip was selected to be physically small, decreasing the odds of it being damaged in an extreme situation, e.g., run over by a logging truck. Should bad luck strike, Juniper Systems’ service department is expert at recovering valuable data in these types of situations. 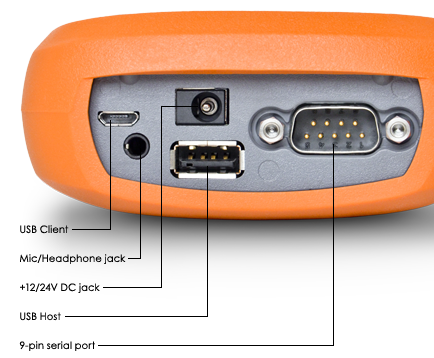 The GNSS receiver selected for the Archer 2 utilizes technology previously untapped by the rugged handheld market. This top-of-the-line receiver supports simultaneous GPS and GLONASS constellations to maximize satellite visibility in poor conditions. Measures were taken to ensure the receiver is future-proofed for both upcoming enhancements and satellite systems that aren’t even finished yet. You might be surprised to learn how much thought and research went into something as seemingly simple as the Archer 2’s keypad. Based on customer research, our engineers chose to implement a numeric keypad—due to the fact that so many of our customers were plugging in huge volumes of numeric data. However, they also learned that many customers still wanted a 4-way navpad like that of the first-generation Archer. So what did they do? They programmed the keys to be able to function as a navpad for those customers who wanted it. Our engineers were also highly selective of the type of buttons used for the keypad. They wanted buttons that would be able to handle the repeated compressions of the most demanding, data-collection applications, so they selected a button component rated to 5 million cycles—pretty much as good as they get. And that’s not all. A great deal of thought even went into the shape of the Archer 2’s buttons. The engineers found that buttons with a flat surface were difficult to feel with gloves on, and many of our customers collect data while wearing gloves. So they chose convex-shaped buttons for optimal tactile response. I could go on, but just wanted to cover a few highlights and show that there’s a lot more to our product specs than meets the eye—think “tip of the iceberg.” Stringent component oversight from mechanical, electrical, platform software, and manufacturing engineers, all working as an integrated project team, produces quality that can’t be matched by contracted design and manufacturing. An added bonus to you is that when a product question or need does arise, our knowledgeable, pick-up-the-phone support team is literally across the hall from the very engineers who designed the product. Say goodbye to getting the support run-around you may have experienced with other companies. Try out the Juniper Systems difference for yourself: Check out the Archer 2 on our website or contact us to get your hands on an Archer 2 demo unit. The device sounds great but I do have a couple of concerns. I see no com port connector cover in the accessories or in any pictures, is this item coming later? That leads to the next question of whether the device will be certified as intrinsically safe and if so when? Last question would be is it slippery? The sides of the device look smooth unlike the first device with a rubberized grip all the way around. Thank you. I appreciate your comments and you have a couple of very good questions. You are correct in that the Archer 2 does not come with a connector protector nor is there a separate accessory offered at the moment. The I/O connectors were purposely designed to be recessed into the bottom of the device to protect from drop or debris but still allow quick access to the ports. The I/O connectors are still sealed on the backside and no amount of moisture would compromise that seal and damage any internal active electronics. Also, just like our other products, the I/O connector module is user replaceable in case of wear or damage. In regards to the sides being slippery, we designed the Archer 2 with an “hour-glass” type shape along with a secure hand strap which feels comfortable in the hand. I highly recommend you call and ask for a demo and see for yourself. Also, regarding Intrinsic Safety, since the product is a replacement to its predecessor (Archer 1st generation) you can assume that we will pursue Class I Division 2 certification at a minimum for this product as well. Please feel free to call our main office for more questions or comments regarding the product’s features or its roadmap. You are welcome to call me direct as well as one of our sales staff as we would be happy to talk with you. I have two older archers mounted on ATVs with Ram Mounts. I recently purchased a new Archer 2. There are no screw mounts on the back. What are your recommendations to mount this new Archer 2 to my ATV? I like how solid the Ram Mounts are on the older versions of the archer. Hopefully I can find a mounting system for the Archer 2 that’s equally impressive. These parts are not yet posted on their website yet, but you are welcome to contact them (as they do exist) referencing these part #’s and they will give you pricing and availability info. For a more secure connection, I would recommend asking them if they have an ATV RAM mount that has two U-bolts vs just the single to ensure a more secure connection. Please let me know if you have any questions.